As “Zhokhovurd” writes former speaker of “Rule of Law” party Susanna Abrahamyan tokk back her candidacy from the proportional list of the party. As the newspaper writes S. Abrahamyan also applied to leave the party. Central electoral committee accepted the application by Susanna Abrahamyan. 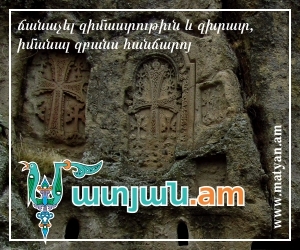 “Hraparak” writes that despite RPA and “Prosperous Armenia” try to show that they have disagreements they manage to keep the agreement which they have got before the elections. According to “Zhokhovurd” if RPA has no candidate in the electoral territory so it is not important that RPA must support the “Prosperous Armenia”. According to the newspaper the RPA supports the candidate which is reliable. “Azg” newspaper referred to the Azerbaijani activities on the border at Tavush region. “Why do we think that Ilham Aliyev spoke about Karabakh on that day? As just on April 25 when Azerbaijani President smiled at Jordanian al Ravabidan just at the same minutes Azerbaijani side opened fire on Tavush region and it lasted for 45 minutes”.